The latest job numbers released by the state show a decrease in the unemployment rate in Escambia and Santa Rosa counties. 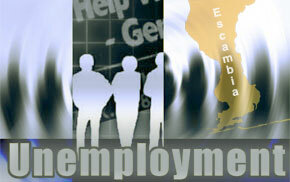 Escambia County’s unemployment rate fell from 4 percent in January to 3.5 percent in February. There were 5,069 people were reported unemployed during the period. One year ago, unemployment in Escambia County was 3.9 percent. The industries with the highest growth over the year in the were leisure and hospitality with 1,100 new jobs and education and health services with 1,000 new jobs. In February, Pensacola had 6,078 job openings and of those, 1,783 were for high-skill, high-wage STEM jobs. Santa Rosa County’s unemployment rate decreased from 3.8 percent in January to 3.2 percent in February. Santa Rosa County had a total of 2,600 persons still unemployed. The year-ago unemployment rate in Santa Rosa County was 3.6 percent. Florida’s seasonally adjusted unemployment rate was 3.5 percent in February 2019, a 0.1 percentage point increase from the January 2019 rate, and down 0.4 percentage point from a year ago. There were 357,000 jobless Floridians out of a labor force of 10,343,000. The U.S. unemployment rate was 3.8 percent in February. The jobless numbers released by the state do not include persons that have given up on finding a job and are no longer reported as unemployed. THIS IS GREEEEAAARRRTT news.. Keeps getting better and better… WONDER WHY? MAYBE its the ……………………….. There is a job waiting for someone to take it. The unemployment rate should be below 1%.